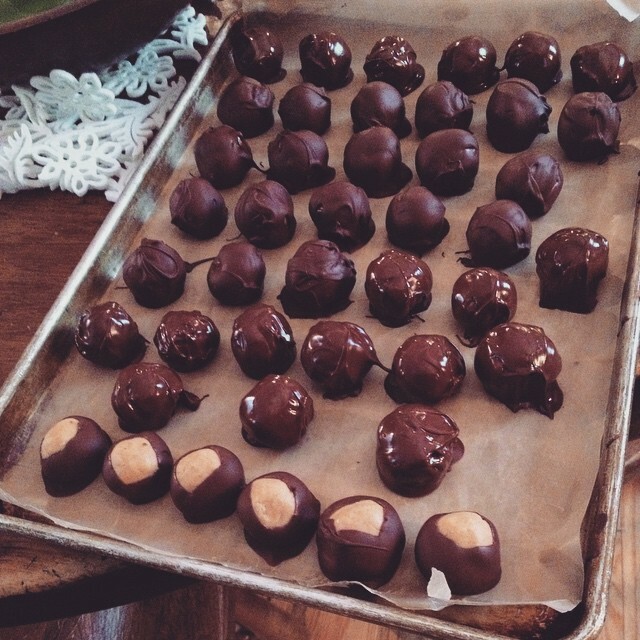 I knew it was going to be a good day of making and elving when I got out of the shower by 830am and Alex already had a tray of peanut butter balls (Buckeyes) made. Getting up an hour before the ducks (that's 6am), has its benefits, I see. 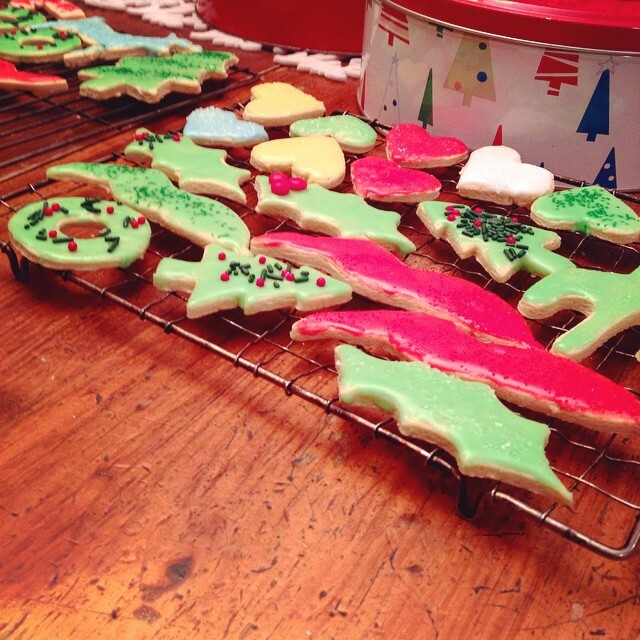 Later this morning, Alex and I went out to do some final bit of elving and the teens, who had sugar cookie baking plans stayed at home. A few errands later, we realized we were essentially on a date, so when our stomaches were growling as we zipped by a known but never visited diner, we turned around and pulled into the lot. We were not disappointed. 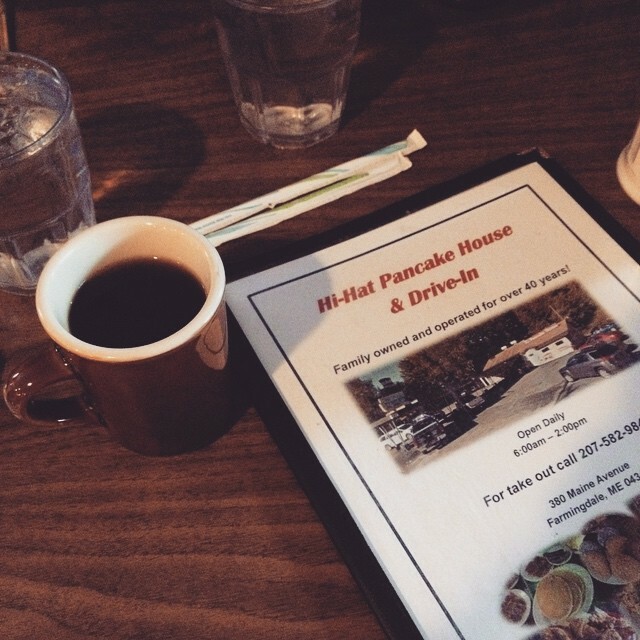 Avocado green booths, faux bois brown Formica, teased hair-the Hi-Hat Pancake House has it all. 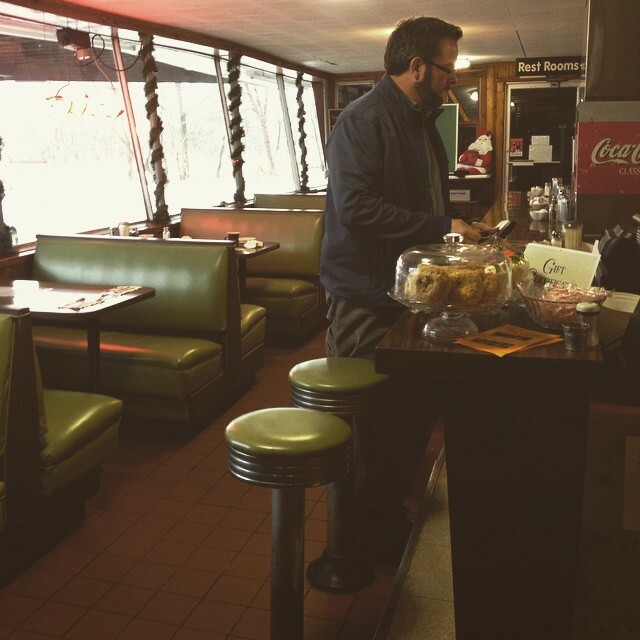 It looks and smells exactly like a thousand other diners I must have eaten at as a kid. It was perfect, and it was as if we had traveled back in time. Of course, we didn't realize just how far back in time were were until we went to pay our bill the usual way, with our debit card, only to discover the diner only accepts cash or checks. CHECKS! Oops! And sure enough, we had about $3 in cash between us. Another oops! Our only hope was that I had the checkbook in the car and so I ran outside, found the checkbook and we were good. Whew! 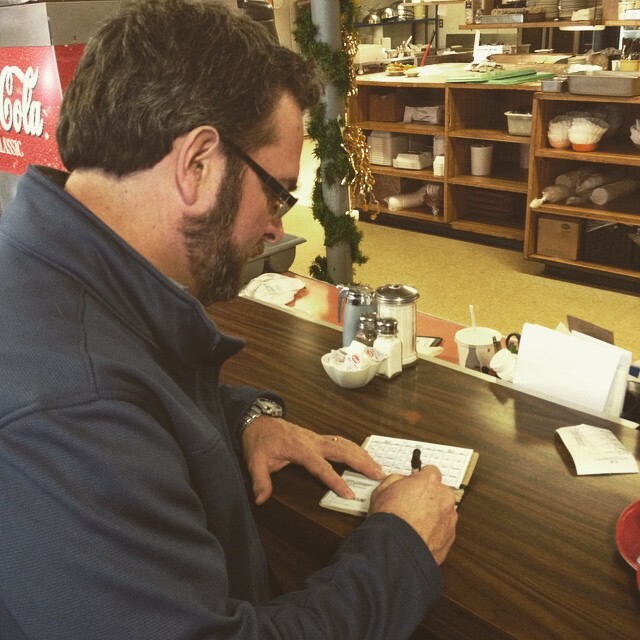 Yes, Maine is one of those rare places left in the world where checkbooks still come in handy. We'll definitely return to the Hi-Hat, next time with the kids, and cash. 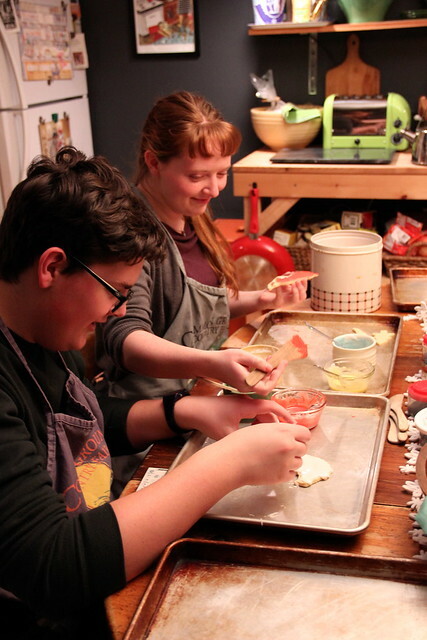 Finished with our errands, (we kept it local by shopping downtown Gardiner and Hallowell, which proved extremely fruitful), we arrived home and were greeted by the good scents of butter and vanilla, and the voices of our capable children enjoying each other's company in our cozy kitchen. It was a good day, filled with small pleasures, some nostalgia, togetherness, and purpose. 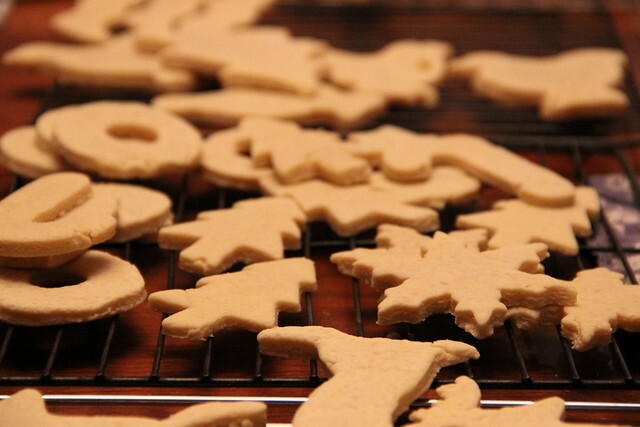 We finished the day with the contentment of knowing we are tucked in with no place to be but home for a week or more, and cookie tins are filled to the brim, too. 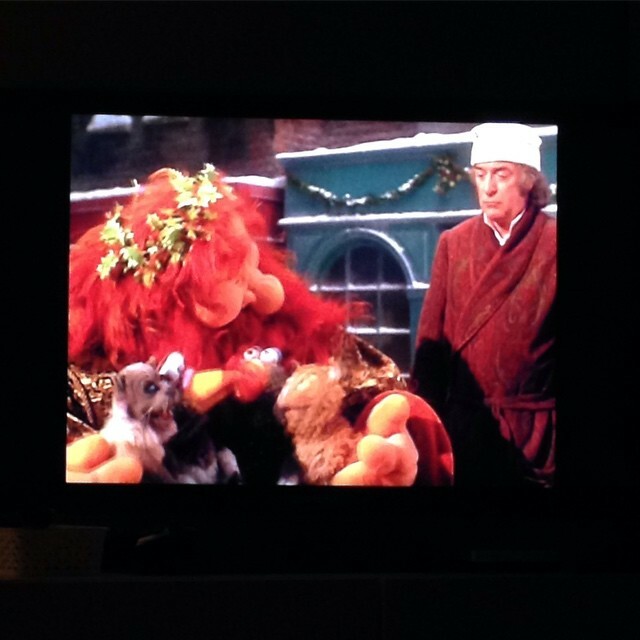 We snuggled together and watched the Muppet Christmas Carol and got choked up from beginning to end. This is the season of the heart, make it last all the year.